This is a fascinating journey into the secret history of an iconic food: the apple! This is a unique book with a unique topic. It is so wonderful to read a book that is so fresh in topic and approach. In this book, award-winning author Helen Humphreys delves deep into the storied past of the apple in North America. Her curiosity about this humble fruit was piqued by the discovery of the White Winter Pearmain, which is believed to be the world’s best tasting apple. She found it growing beside an abandoned cabin near her home. Her interest led to some fascinating discoveries in the apple’s history, from how bountiful indigenous orchards were stolen or eradicated by white settlers and their armies, to the collection of apple scions that first crossed the Atlantic Ocean with a middle-aged Quaker woman, to the presence of apples and orchards in the life and poetry of Robert Frost, to the efforts of watercolour artists employed by the USDA’s Division of Pomology to catalogue the some seventeen thousand varieties of applies once available on this continent. Helen Humphrey’s style and prose as well as her insights makes this book a must read for all Canadians, especially those who love apples. 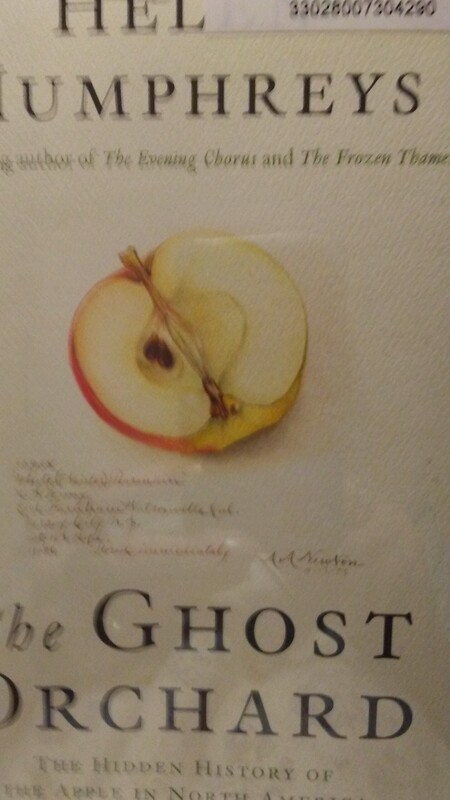 This is a unique book because I never heard of a book on the history of the apple. But now this wonderful void has been filled by one of Canada’s giants in writing.